This is a round bubble tea kiosk design. Because bubble tea business is very similar with juice bar. 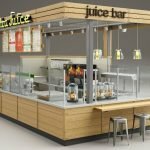 So you can also use this tea kiosk as a juice bar design. 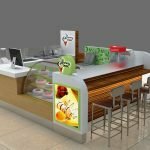 If you are looking for a round juice kiosk design , or round retail kiosk design. This model will give a good inspiration . 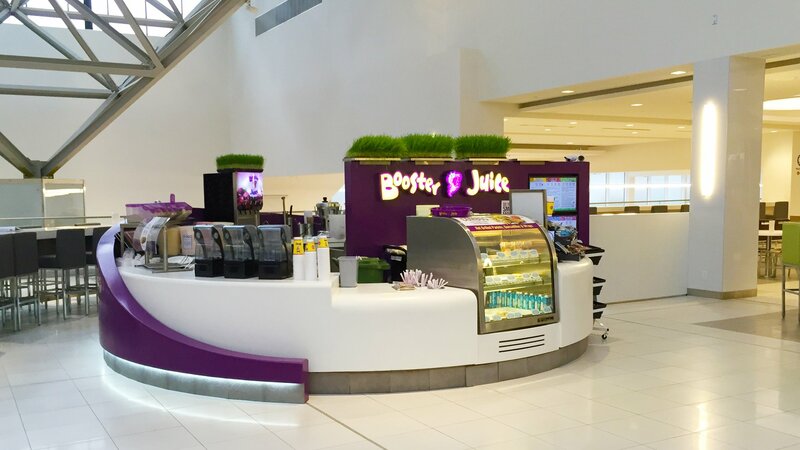 This kiosk is for Booster juice bar kiosk design . Very beautiful and outstanding kiosk design . This bubble tea kiosk is an integrated, First class quality station with making and displaying food in the shopping center. Modern design, attractive for customer. 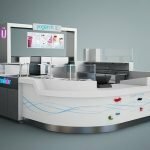 Integrated food kiosk with working desk, water system, display area, payment counter, advertising, etc. Efficient production, keep delivery date normally 15 working days. Easy to install with guidance. Fire-resistant material , International high level finish. 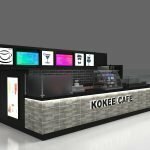 How to order a customized bubble tea kiosk design from unique? Firstly: Initial talk with our salesman →sending us your floor plan. Secondly: Designing after receiving designing fee.